You are at:Home»Breed Profiles»Are Mini Labradors Real? You should know by now that we’re a fan of all mini dogs. Our latest obsession? The Miniature Labrador. There are few words in the English language that sound quite as cute as “mini” and “Labrador,” and putting them together just seems right. Among dog owners, Labrador retrievers are widely considered one of the most dependable, loving breeds you’ll find, popular as both intelligent service animals and reliable family pets. According to the American Kennel Club, they’ve been the most adopted breed 26 years in a row! It’s no wonder there has been a proliferation of cross breeds in recent years. From Labradoodles to Springadors, everyone wants a share of that trademark Labrador personality. Enter the mini Labrador. There’s a rising market for tiny versions of the beloved Labrador, small enough to serve as a standard-sized house dog, with all the verve and lovability of the original. But there’s a lot of confusion about exactly what a miniature Lab entails. Are these dogs definitively Labradors, a distinct new breed, or simply genetically deformed Labs? What exactly does it mean when we see miniature Lab puppies for sale? Where do they come from? So let’s lay out what we know about mini Labs. Are these pocket puppies too good to be true? 1 What Are Mini Labs? Mini Labs are billed in many ways: teacup Labs, canoe Labs, toy Labs, et cetera. In most cases, mini Labrador retrievers grow about 2-6 inches shorter than a standard Labrador and weigh 10-20 pounds less. They come in the same standard Lab coloring: yellow, chocolate, or black. In temperament, they are identical to their full-grown counterparts—energetic, affectionate working dogs. In price, a new mini pup can range anywhere between $1,000 and $1,800, which sets them at the high end of purebred puppies. For comparison, most Labrador puppies cost somewhere between $800 to $1,200. According to the American Kennel Club, the official arbiter of dog breed standards, Labradors must meet very specific size regulations in order to be considered a pure Lab: 22-24 inches tall, and weighing anywhere between 50-80 pounds. What’s interesting is that most puppies billed as mini Labrador retrievers are bred from two Labrador parents, which makes them “purebred” in the literal sense, but few of these mini Labs are recognized as true Labradors. Some say the difference is purely based on size, that mini Labs are Labradors who just don’t meet the height regulations. But there are other issues that make mini Labs a gray area. Firstly, Labradors can naturally inherit a recessive dwarfism gene. This inherited deformity can occur quite regularly in Labs. Sometimes this dwarfism is simply the result of a pituitary gland issue, which prevents the dogs from generating enough growth hormones to reach their standard size. The most common type of dwarfism is a genetic mutation known as “dysplasia,” and breeders can test to determine whether a pup or a parent carries the gene. Dysplasia affects the skeleton and usually leads to significantly shorter legs, giving the Labs a vaguely Dachshund-like appearance. This brand of dwarfism can be nearly unnoticeable, and often it won’t leave a major impact on the dog. Mini Labrador Retrievers with dwarfism can still lead healthy, happy lives, even if they’re probably not going to win any dog shows. The most common traits include short legs, a large, rounded head, and turned-out feet. Unfortunately, their shorter, sometimes-bent legs place an increased strain on the joints, so these small Labs have an even greater tendency toward arthritis than most Labs do. One issue that can arise with the miniature Labrador is that breeders may knowingly use dogs that are impacted by dwarfism to try to get smaller puppies, and this can have a negative effect on the dog’s health. This kind of breeding doesn’t improve the overall health of the dogs, and breeders who intentionally breed two dogs with dwarfism could be putting increased strain on the puppies. Very unethical. Miniature Labradors are typically bred from smaller-than-average Labrador parents – “runts” of the litter – to allow for a higher chance of small puppies. Even if these dogs don’t have the dwarfism gene, they can still cause a number of issues. First off, runts aren’t always the healthiest dogs, and professional breeders rarely use them, since they are less likely to have puppies that meet breed standards. Second, unethical breeders might attempt to breed smaller dogs from the same litter or family together, and inbreeding can be very harmful to the offspring. 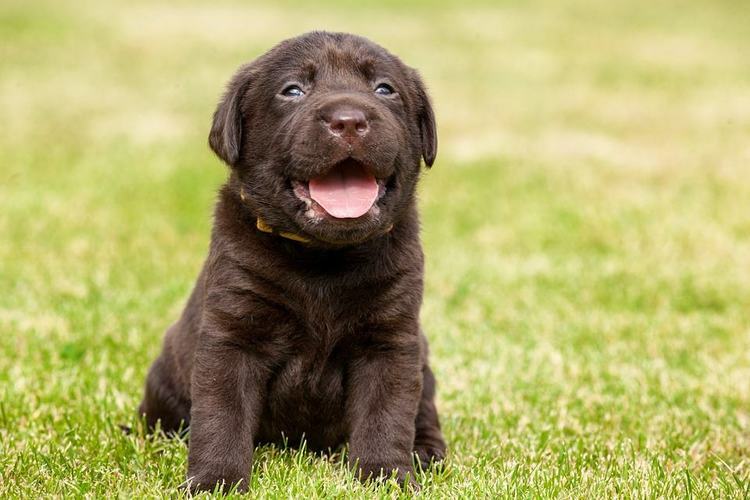 The final word is that you can certainly find miniature Lab puppies for sale, but they are not a distinct breed in their own right—as is the case with the miniature Schnauzer or miniature German Shepherd, for instance. Labs can come in all sizes, but selectively breeding them in order to make them smaller isn’t the best case scenario for the dog or the owner. Some miniature Labs are bred using Labradors and beagles, poodles, or similarly sized sporting dogs. These mini puppies are less likely to look exactly like Labs, since there’s no guaranteeing what traits they’ll inherit from which parent, but they are a lot more likely to steer clear of genetic disorders. If you’re looking for a smaller dog, finding one of these Lab mixes might be a good alternative to explore. Dwarf Labradors need homes, of course, so one bet might be to check with local shelters to see if you can find a smaller Labrador who might be a perfect fit for your home. Since it’s very difficult to properly vet a “mini Lab” breeder, find dogs who already need a home instead of seeking out a puppy farm that specializes in minis. There’s a dog out there for everyone, but it’s our job to know as much about our dog as we can before bringing it home. There are a lot of unknowns with so-called mini Labs, but that doesn’t mean there won’t be opportunities to open your hearts to these little guys. As with any dog, be aware of health risks, parentage, and personality before bringing it home. Know your stuff, and you’ll get to know them. What do you think — are Mini Labs real?